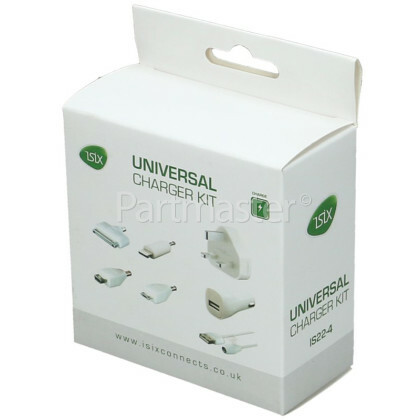 This Universal Charger Kit is a versatile mains USB and 12V in-car charger that is perfect at charging numerous portable devices. The Charging Kit includes all you need to keep your iPod, mobile phone, smartphone, PDA, E-Reader, Sony PSP etc fully charged and at the ready whilst on the move. 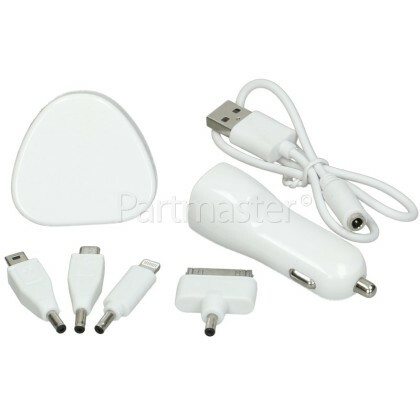 It charges from any standard USB port meaning that you can recharge your device again and again wherever you are. 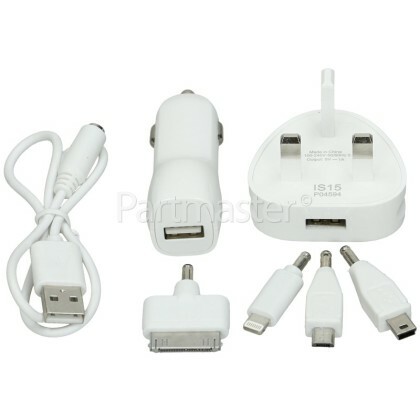 It is suitable for iPods, iPads, iPhones and charges other devices through Mini USB, Micro USB and also PSP games consoles. Also ideal for charging Sat Navs, Samsung, Blackberry, HTC, and more.